Description: Ceramic incense burner Height : 58.7 cm. 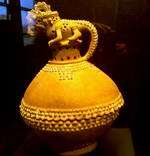 Spherical bowl with cylindrical chimney. Crocodiles are the most powerful animals in the water and were considered godlike spirits in ancient America. 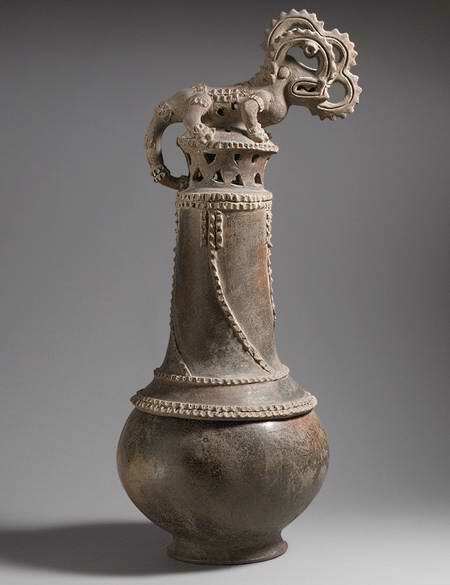 Description: Incense burner from Costa Rica (Guanacaste, La Guinea). 25 cm high. The lid is decorated with a Crocodile. 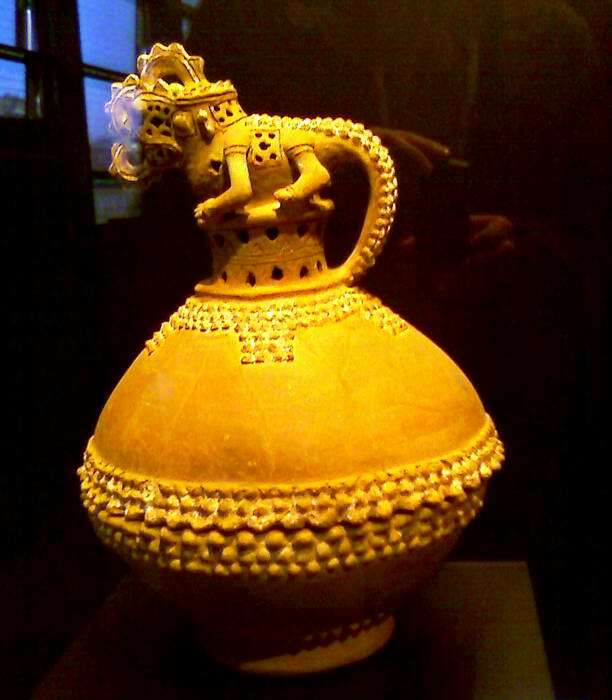 Crocodiles are the most powerful animals in the water and were considered godlike spirits in ancient America. 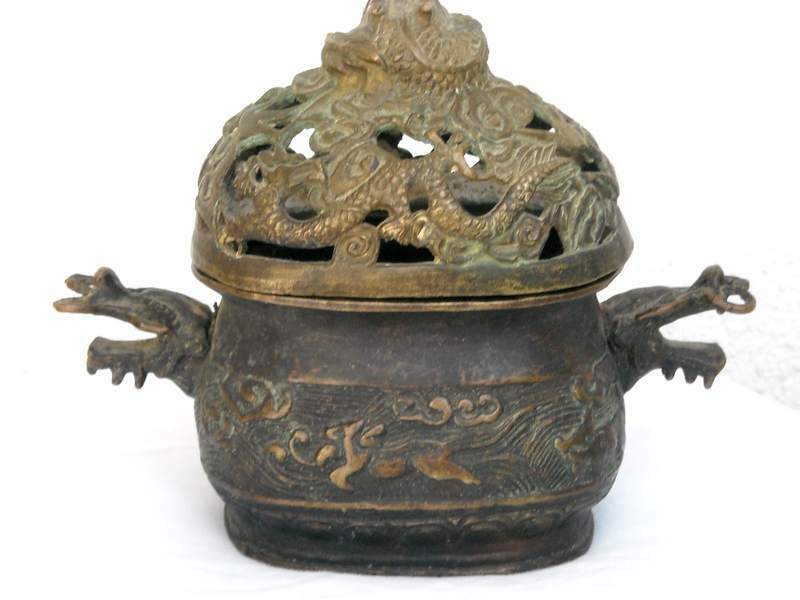 Description: Bronze incense burner, with handles looking like a crocodile jaw.